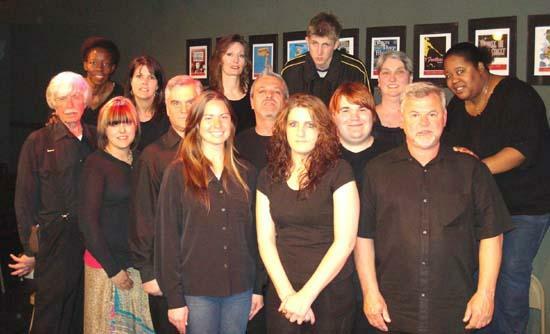 Out Front on Main, 1511 E. Main Street in Murfreesboro presents its inaugural production And The People Speak, directed by Christopher Carnett. And the People Speak runs April 29-May 16, Thursday-Saturdays at 7:30pm and Sundays at 2pm. Reservations and info: (615) 713-1757 or www.outfrontonmain.com .Tickets are $10. Murfreesboro's newest theatre presents our first production And The People Speak, stories of ordinary people that make an extraordinary impact on the history of America. "We chose this show to be our inaugural production as to represent the intention of our theatre, to take strides to affect and entertain our audiences with material that most theatres shy away from. When put into prospective, our mission is to bring to the stage shows that are edgy, thought provoking and contemporary. Along with this we also offer shows for children and the entire family," says executive director George W. Manus, Jr.
""It is vital to the existence of the landscape of Middle Tennessee theatre to bring the edgier material to the stage." Voices of a People’s History of the United States brings to life the extraordinary history of ordinary people who built the movements that made the United States what it is today, ending slavery and Jim Crow, protesting war and the genocide of Native Americans, creating unions and the eight hour work day, advancing women's rights and gay liberation, and struggling to right wrongs of the day. By giving public expression to rebels, dissenters, and visionaries from our past — and present — this show seeks to educate and inspire a new generation working for social justice.